It’s not every day that an internationally renowned perimeter security expert gets a flying licence! Our regular blog readers will know that our Technical Director Andy Moon has a passion for flight and there are a number of video clips on our YouTube Channel from when Andy piloted a 4 seater plane over our offices in Stirling such as this one. Initially when he told us the news, we all offered our congratulations but thought little of it. 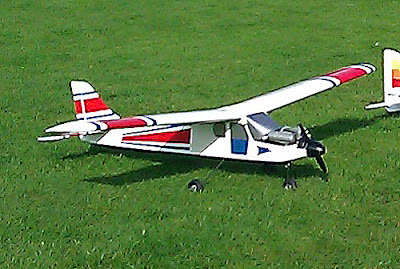 Model aircraft for us, like for many people, conjured up a picture of a small, balsa wood model glued together from bits in a kit with a handy little remote control. Think again! After seeing this photo which Andy took at his local flying club on the day he passed his exam, we asked a few questions and the answers soon made us realize how much more complex and serious a subject model aircraft flying really is. 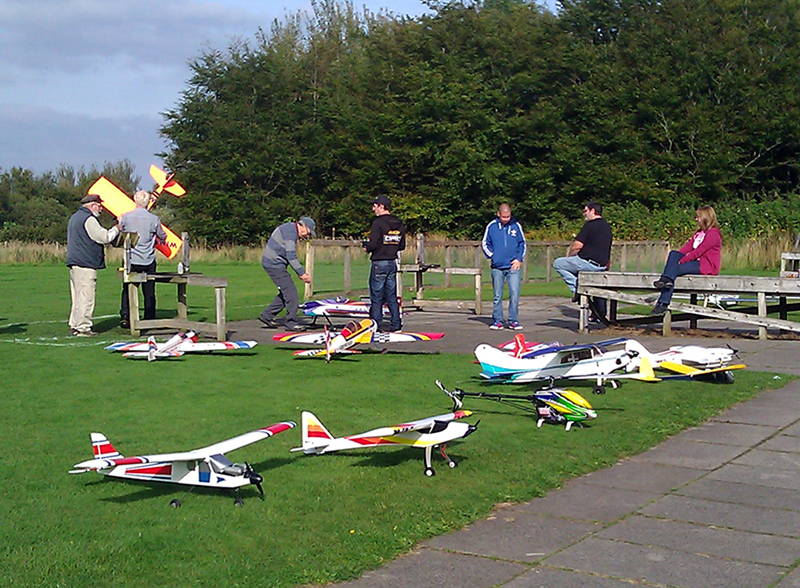 For example, the licence permits Andy to fly models anywhere in the UK, up to ½ full-scale aircraft size and at speeds up to 100mph! Andy refused to take all the credit for this new certification and praised the instructor who coached him. He’s the man in the cap and gilet towards the rear of the first photograph above who also conducted the test.